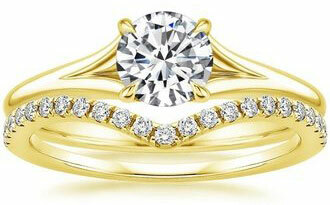 Yellow gold engagement rings shine with an inner warmth and glow that cannot be matched by any other metal. With a classical style that will be treasured for a lifetime, yellow gold is definitely a splendid choice for an engagement ring metal. 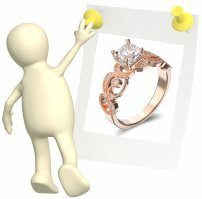 To find an exceptional yellow gold ring for your engagement, use the info below including the differences between 18k, 14k, and 10k yellow gold, ring care, essential shopping tips and more. Fun Fast Facts About Yellow Gold Engagement Rings! 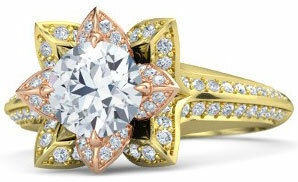 Yellow gold was the preferred metal for Victorian engagement rings. 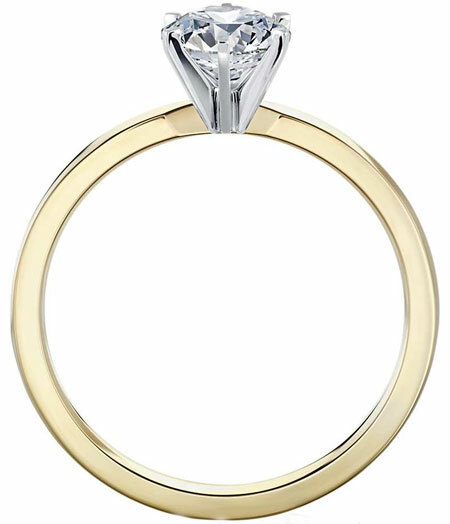 18k yellow gold engagement rings are highly resistant to tarnish. Yellow gold rings are made with gold alloys that contain copper, silver and zinc. And if you have any questions about yellow gold engagement rings, just send them in through the handy comment box at the end of the page! 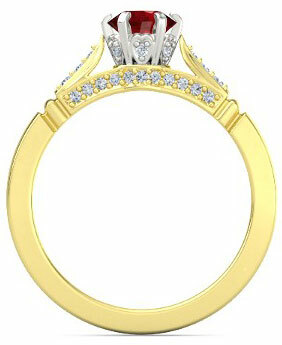 So what can you expect from 18k, 14k and 10k yellow gold engagement rings in terms of durability, price and look? These gold alloys are created with a mixture of natural yellow gold, copper, silver and zinc. The yellow color is maintained by adjusting the ingredients for each karat recipe. 18k yellow gold rings contain 75% pure gold by weight. 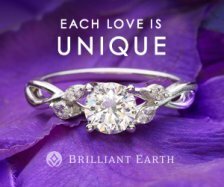 Engagement rings made with 18k gold are prized for their natural radiant glow which is warmer and brighter than 14k and 10k gold alloys. With the higher content in gold though comes a higher price. Typically, 18k yellow gold engagement rings are about $500 or more dollars higher than 14k gold rings in comparable styles and weights. 14k yellow gold rings contain 58.3% pure gold by weight and additional copper, silver and zinc metals. Engagement rings made with 14k yellow gold still display a lovely yellow warm hue for a more affordable price, but they do not have quite the same luminosity as the 18k yellow gold rings. 10k yellow gold rings contain 41.6% pure gold by weight plus copper, silver and zinc. Engagement rings made with 10k yellow gold are the most affordable, but 10k gold often has either a redder copper-like color or a lighter whiter tone than 18k and 14k gold engagement rings. And unfortunately 10k gold often lacks the lustrous yellow glow that is so valued in the higher karat gold alloys. 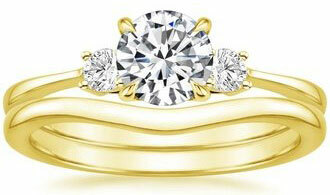 In terms of durability, yellow gold engagement rings made with 18k gold usually have the highest level of durability. They wear well with time and have a high resistance to scratching. Rings made with 18k yellow gold are also very resistant to tarnishing, those with 14k gold have a medium-resistance to tarnish and 10k gold rings have a tendency to develop tarnish with time. 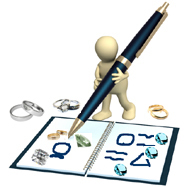 Take a look at the table below which has the Vicker’s Hardness (HV) values – a measure of resistance to scratching – for common alloys used to create yellow gold engagement rings. From the table, you can see that depending on the type of alloy used to create the rings 18k yellow gold has a slight edge over scratching to 14k yellow gold. Rings made with 10k gold can have a higher resistance to scratching than 14k yellow gold - but the HV value is just one aspect to durability. Yellow gold 10k alloys tend to be more brittle than 14k and 18k gold, and unfortunately because the alloys are cheaper they are sometimes made with low standards of workmanship (e.g. the bands may be especially thin and can be prone to breaking). 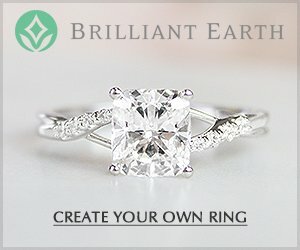 Top Yellow Gold Engagement Ring Picks! 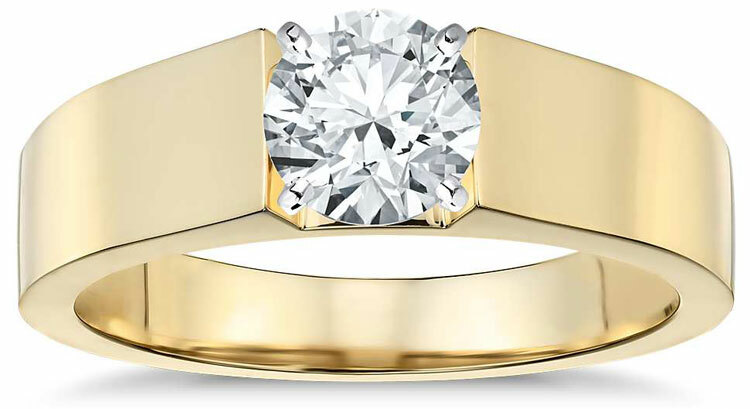 If you have a higher budget, than the 14k and 18k yellow gold engagement ring styles will offer an excellent level of durability combined with a gorgeous color tone. 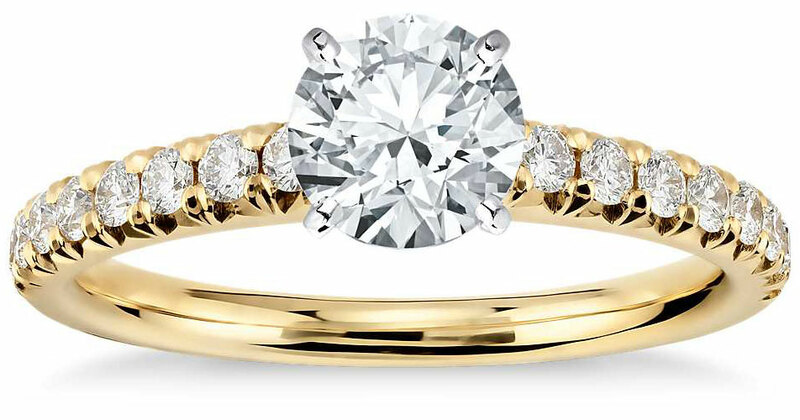 Diamonds look quite striking against the backdrop of a yellow gold band, and for gold wedding ring sets with a bright pop of sparkle and brilliance matching yellow gold diamond wedding bands can add that extra amount of flash and fire. 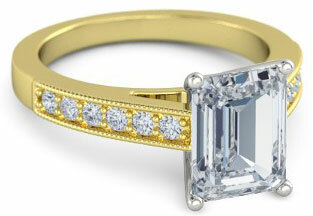 One big pro to yellow gold diamond engagement rings is that they can hide slight color tints in diamonds. 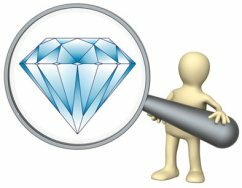 So, if you find an exceptional diamond with a high clarity and cut grade but a lower color grade a yellow gold background will mask any light yellow tint in the diamond. 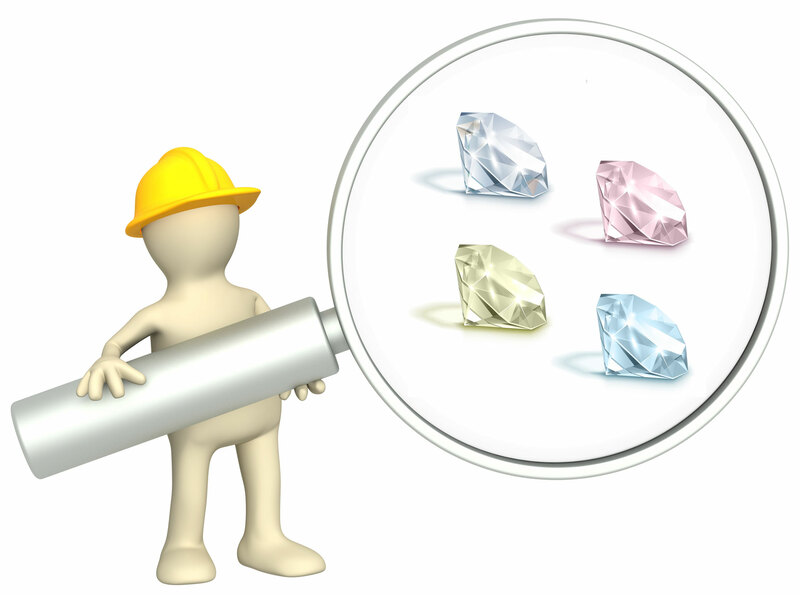 This quality too is an extra bonus if you are searching for a diamond on a budget - as diamonds with even slight color tints are often much more affordable. 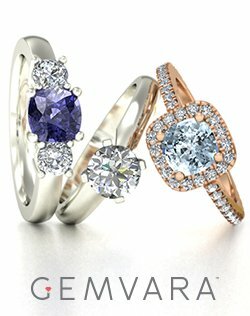 If you do choose a diamond with a high color grade that displays no color tint - a platinum setting for the ring can bring out the diamond's exceptional qualities. A platinum setting on a yellow gold wedding band too can add a nice touch of contrasting color on the ring. 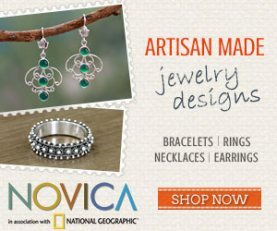 You can find the physical properties of each of these gemstones, plus shopping tips, on the Gemstone Engagement Rings page. Fortunately, yellow gold rings are quite easy to care for. 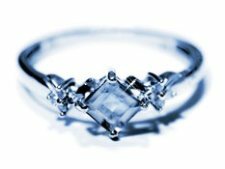 When necessary, clean your engagement ring with a little bit of warm water mixed with a gentle detergent (just a drop or two) - if any dirt needs to be removed from crevices, use a very soft jewelry brush - and then dry the ring thoroughly with a soft cotton cloth. 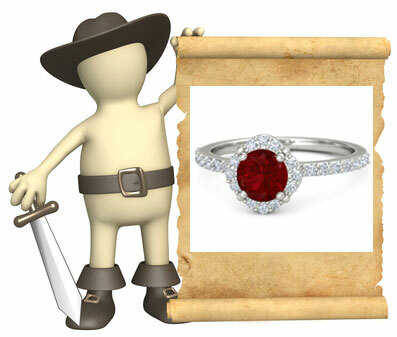 If you need to store the ring, place the ring in a separate cloth bag - storing the ring near other pieces of jewelry could expose the ring to small scratches particularly from jewelry pieces with diamonds or gemstones. 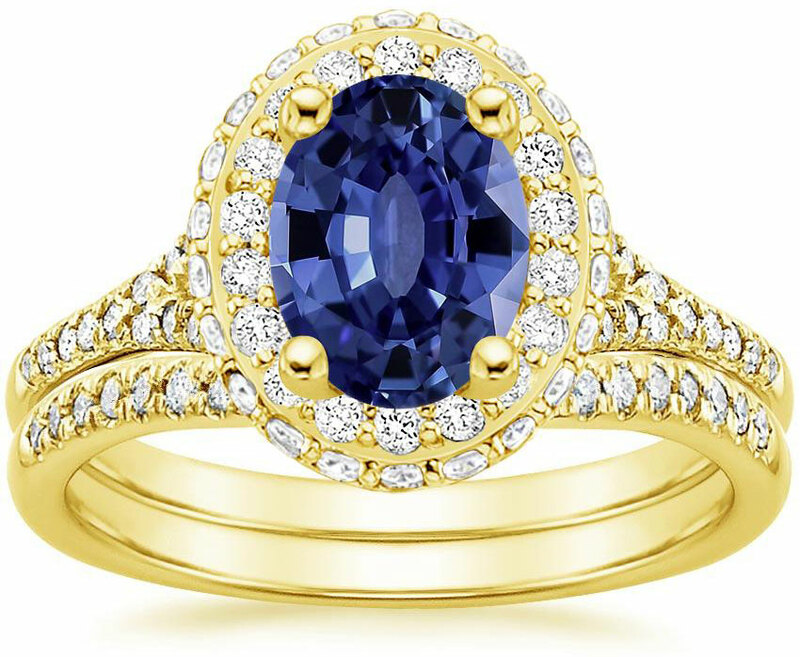 To find the perfect yellow gold engagement ring, keep these tips in mind while you shop! 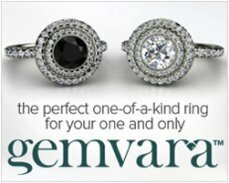 Remember that rings with diamonds - whether 18k, 10k or 14k yellow gold diamond rings - should come with a diamond certificate from a reputable gemological laboratory (preferably the GIA, AGS, EGL or IGI). 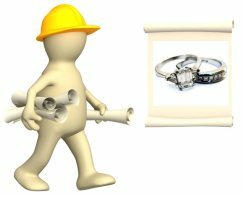 If you are searching for antique yellow gold engagement rings, use caution. 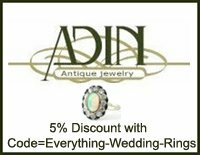 Stick with retailers who specialize in antique jewelry sales and check to see if it possible to re-size the ring if the ring does not fit before you buy. 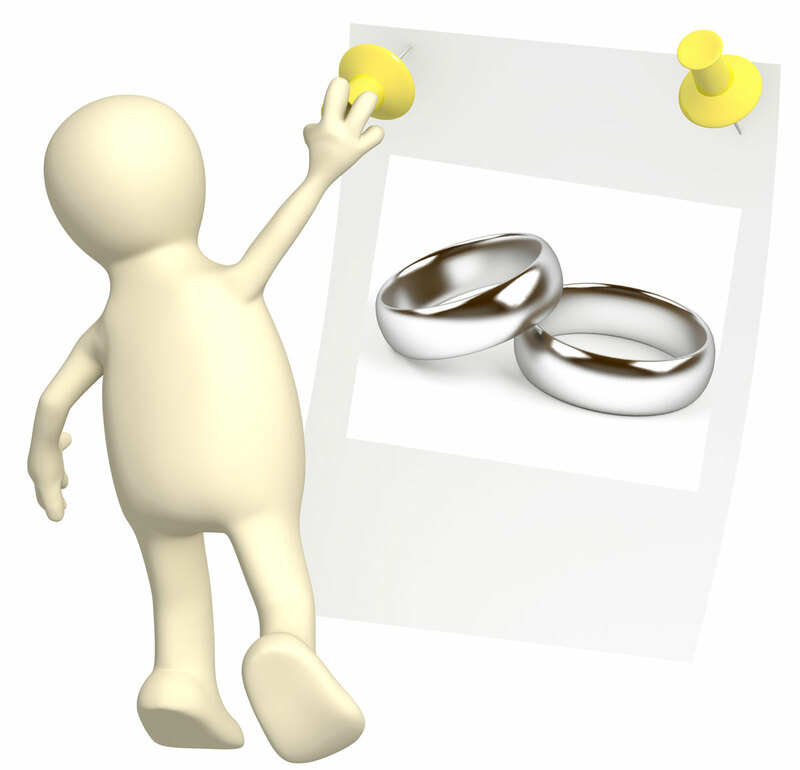 Because diamonds that have been mounted cannot go through the regular certification process, if you are purchasing a used estate, vintage or antique yellow gold diamond ring make sure the ring comes with an appraisal and/or a certificate of authenticity which states estimated grades on the diamonds. 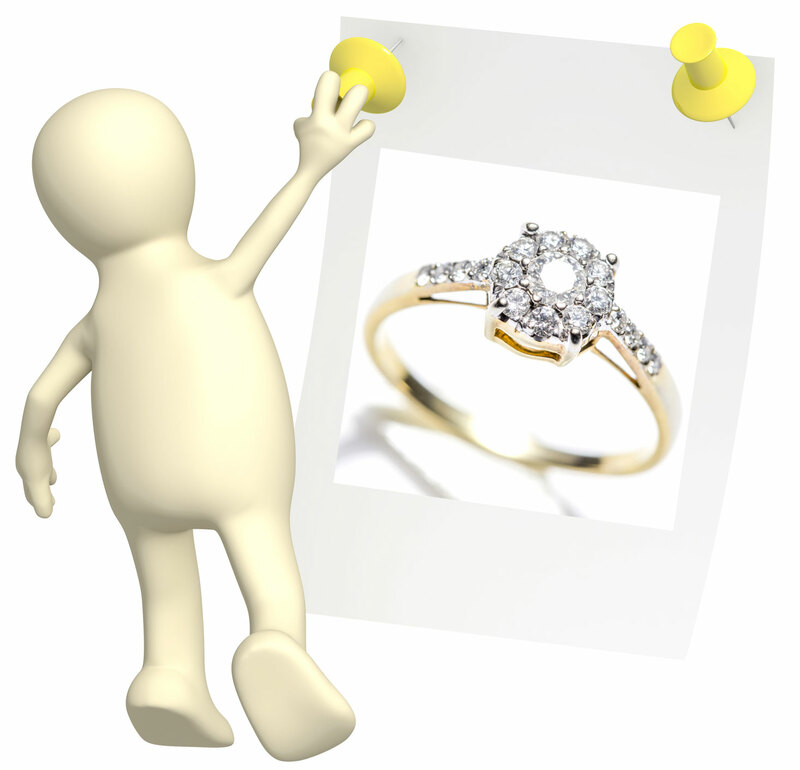 Take care if you are looking for a 10k yellow gold diamond ring. 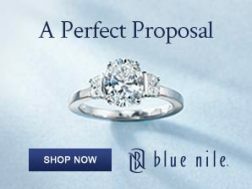 Pay particular attention to the workmanship of the ring and the quality of the diamond setting. 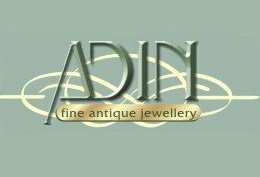 For two tone wedding rings, make sure the rings are made with inlay or entwined solid gold metal workmanship - avoid plate of any kind as the plate will quickly chip and wear away in a matter of months. Last but not least, because an engagement ring will be worn for a lifetime, it pays to purchase the ring from a retailer or jeweler who offers at least a 30-day refund policy or an exchange program - just in case the first ring has any sizing, style or comfort issues. 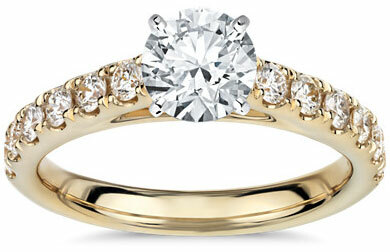 Do you have comments or questions about yellow gold engagement rings? 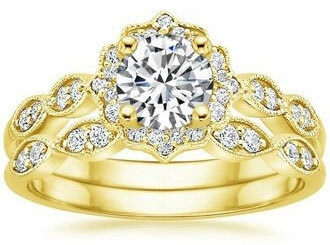 Send in your questions and comments, or upload pics of your dazzling yellow gold engagement ring to share here!